Yucca Mountain, the project to permanently store high-level nuclear waste underground in southern Nevada, has been considered dead since then-President Obama defunded it in 2012. But now, President Trump has moved to revive it. His 2018 budget blueprint includes $120 million to restart licensing and to provide interim waste storage elsewhere. 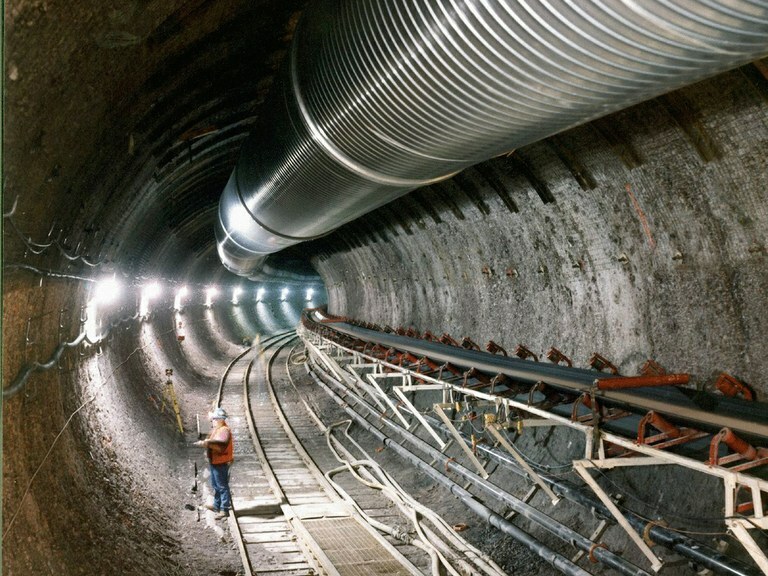 The Yucca Mountain plan has faced stiff opposition from Nevada residents, environmentalists and elected officials since 1987, when Congress identified the dry, remote ridge as the only location that would be studied for a national repository for high-level nuclear waste and spent nuclear fuel. The money allocated in Trump’s budget plan amounts to only a token gesture. The Department of Energy estimated in 2008 that the project as a whole would require up to $96 billion to complete; it’s already cost taxpayers $15 billion. 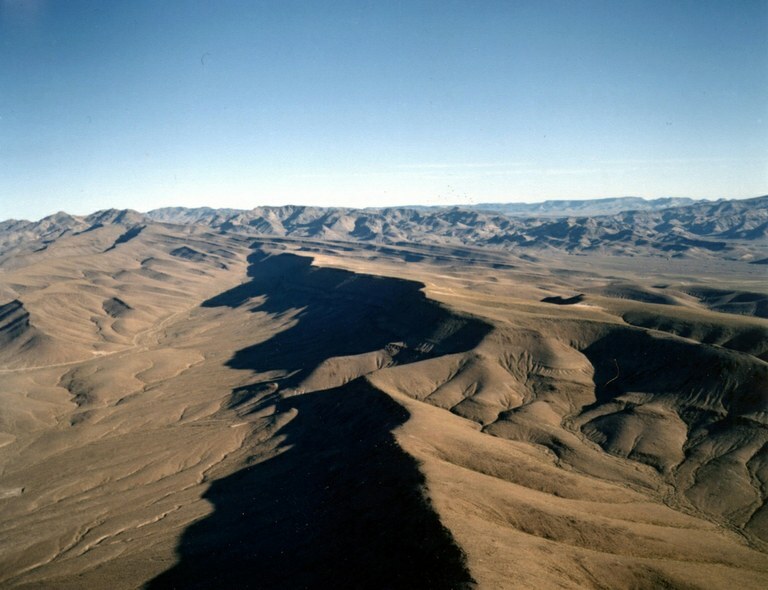 Yucca Mountain, about 90 miles from Las Vegas, was selected in 1987 as the only site to be considered for a national nuclear waste repository. On April 26, a House Energy and Commerce subcommittee held a hearing on a draft bill to restart the licensing process. Subcommittee Chairman Rep. John Shimkus, (R-Illinois), who introduced the legislation, expressed confidence that the Department of Energy fully supports the bill. Though no one from the department attended the hearing, Energy Secretary Rick Perry sent a letter to the chairman of the House Committee on Energy and Commerce: “I believe establishing a geologic repository is the best long-term solution for isolating spent fuel and high-level waste,” Perry wrote, noting the importance of restarting licensing for Yucca “became even clearer” when he toured the site recently. The waste now awaiting permanent storage at 121 sites has mounted to 79,000 tons — 9,000 tons above the planned limit for Yucca Mountain. Currently, the country’s sole permanent storage facility is New Mexico’s Waste Isolation Pilot Plant, which takes only defense-generated nuclear waste. It recently reopened after a fire and an unrelated radiological release led it to shut down in 2014. Nevada Gov. Brian Sandoval and all members of Nevada’s congressional delegation oppose the draft legislation. In a letter to Shimkus before the hearing, Sandoval wrote that Nevada opposes the project “based on scientific, technical and legal merits,” and stated that the proposed bill “usurps Nevada’s jurisdiction over the state’s water resources” and speeds up the licensing process, making it more difficult to mitigate potential public health and environmental risks. “No amount of monetary benefits can compensate for the coerced selection of an unsafe site,” the letter concludes. The state has already filed more than 200 objections to the DOE’s application, all of which would have to be resolved — at a cost of up to $2 billion — before the project could go forward. Meanwhile, Nye County, where Yucca Mountain is located, is in favor of resuming licensing, with hopes that the project will lead to job creation and infrastructure improvements. The Department of Energy built an underground Exploratory Studies Facility to help determine Yucca’s suitability. Yucca’s opponents have cited a number of concerns about the project. Chief among them is the risk of transporting thousands of tons of radioactive waste long distances, including through the city of Las Vegas, which lies about 90 miles southeast of the site. Other potential risks include groundwater contamination and the corrosion it could cause as well as earthquake activity. In recent weeks, Halstead says, “pro-Yucca forces in the nuclear industry, Congress, and the Trump administration have made it clear that they haven’t had any new ideas in 30 years;” instead, they’re dressing up an old idea. “They can limp along and pretend they’re making progress with $120 million to spend” during fiscal year 2018, he says. But the battle over Yucca is far from over — and Nevada plans to keep fighting back.